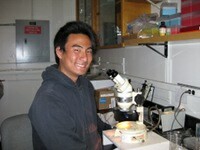 This summer I worked in Dr. Ron Burton’s lab researching fish spawning trends in the La Jolla Marine Protected Areas. The project was initiated in 2012 and serves to assess the efficacy of Marine Protected Areas and identify general trends in fish spawning behavior. I joined the project under the guidance of Masters Student, Elena Duke, to continue identifying fish species spawning near the Scripps Pier. This consisted of collecting fish eggs, amplifying their DNA by PCR, and sending the DNA out to be sequenced. Once sequences were obtained, they were matched to a species using GenBank. This molecular method of identifying fish eggs complements data regarding local fish species obtained by diver surveys. It is a useful way to gather information about the ecosystem in the La Jolla Marine Protected Areas because diver surveys account for adult fish, but do not contribute to information on spawning behavior. Working as a California Current Ecosystem REU intern has given me the opportunity to obtain hands on research and collaborate with experienced scientists in the field. I would like to thank the Burton lab for providing me with a welcoming community and educational learning environment. This summer I had the opportunity, and pleasure, to work for the Martz Lab in MESOM at SIO. The core work performed by this group includes data analysis of the CalCOFI Cruises and bottle samples. The CalCOFI takes data measurements every four months along the coast of California. Our lab, which collaborates with them, is then able to process that data and hopefully make conclusions from them. Our main motivation for this research and work is the persistence of ocean acidification. Ocean acidification, also known as "the other CO2 problem," is the continuing decrease of the pH (becoming more acidic) of the Earth’s oceans. This is caused by the large and increasing amount of CO2 absorbed by the ocean which then shifts the pH toward a more neutral position, rather than basic. This negatively impacts the ocean's ecosystem as many fish and coral rely on a balance of carbonate ions in order to create their shells and skeletons. For this reason we look to utilize this data to create prediction models and bring awareness, in hopes that we can combat this issue before it is too late. I was assigned the task of creating a program with MATLAB that would perform the Quality Control aspect of data processing. This included creating several live scripts that would perform multiple aspects of the quality control process. Utilizing the system’s built-in gas standard system, which runs a known gas standard in order to check the accuracy of the analyzer when analyzing the SeaWater pCO2, I was able to create a three point regression in order to correct the underway data. Following corrections made about assumptions that were utilized throughout the collection of data, I was able to calculate the alkalinity of the samples, which could then be used to calculate the pH. Although the Underway system does collect a pH value, this measurement is obtained through arbitrary constants and therefore needs to be adjusted. I also included a Gantt chart script, which plots a Gantt chart in order to show which components of this system were functioning at any given time along the length of the cruise. I am very grateful for this opportunity. Working at the Scripps Institute of Oceanography has always been this magical place, filled with people like me who are passionate about the ocean, and this summer showed me just how right I was. This summer as an REU intern, I had the opportunity to work with Dr. Art Miller and PhD candidate, Nathali Cordero-Quiros. I was able to do research on the California market squid to look at possible ways to project species capacity. The market squid is very important both commercially and ecologically in the California Current Ecosystem, as understanding the physical-biological interactions that affect species abundance are crucial for future fishery management and ecosystem stability. To do this, I began to look at habitat suitability modeling and applied this concept to spawning suitability. Because market squid are restricted by their environment during spawning the model was constructed using the species-environment relationships of bathymetry, substrate affinity, and temperature; ranking spawning zones on how suitable it is based on those criteria. This becomes important as El Niño/La Niña produce different ranges of area that are suitable for spawning (due to changes in ocean temperature, among other changes), leading to fluctuations in species abundance. Using this model and projecting future temperature changes could potentially assist with how fisheries are managed. This research project has been very valuable in launching my scientific curiosity, and I would like to thank the Miller Lab for giving me the opportunity to explore this topic independently. I gained a lot from this summer experience and I am thankful to have been a part of the Summer 2018 cohort. 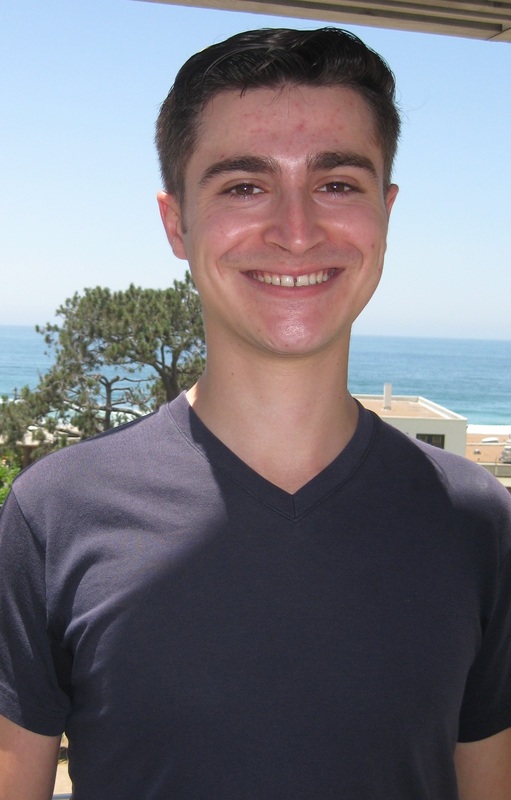 As an REU student in the Barbeau Lab, I worked under the mentorship of PhD student Kiefer Forsch. As part of his goal of constraining a value for biological iron demand in the CCE, I used a fluid injection analysis machine to measure dissolved iron concentration in seawater samples taken during process cruise P1706. I used these concentrations along with ADCP velocity data in order to determine values for cross-shore advective flux of dissolved iron. These measurements are also useful for understanding changes in distribution of primary producers, as iron is episodically the limiting nutrient in the California Current Ecosystem, which can restrict growth of plankton. While working in this lab, I learned the procedures for preventing contamination of trace metal seawater samples, how to interpret biogeochemical oceanographic data, and how to form hypotheses based on this data by examining relevant published literature. This program was an irreplaceable experience for me. The opportunities it provided for me to engage with current oceanographic research have helped me to better understand my academic interests, as well as to be more comfortable with the idea of going into graduate school in this field in the future. 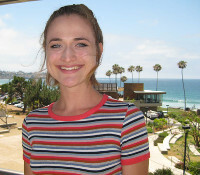 During this past summer, I worked under the guidance of PhD student, Lauren Manck, in the Barbeau lab at Scripps Institution of Oceanography. The focus of my summer research was to understand the role of siderophores in microbial iron acquisition. Siderophores are compounds that strongly bind and transport iron in microorganisms. I ran growth experiments with a siderophore synthase knockout mutant strain of Alteromonas bacteria and a normal wild type strain of Alteromonas bacteria that still retained the siderophore synthase gene. I grew the two bacterial strains in marine broth and then transferred to replete pc+ media before iron-limiting the cells. I then grew the bacteria in media with different iron compounds and measured the cell density every three hours in order to plot the growth curves. The results suggest that in the California Current Ecosystem, where upwelling may be a source of sedimentary iron, siderophores may play a significant role in helping bacteria uptake inorganic iron. I would like to thank Lauren Manck for teaching me so many valuable molecular biology tools and techniques this summer. This internship experience has reinforced my passion for scientific research and has spiked my interest in oceanography as well. I look forward to implementing the skills I learned this summer in my future scientific work. This summer I worked under the mentorship of Dr. Art Miller in plotting and analyzing model data output by the Darwin model. This model combines physical and biological aspects of the CCE modeled by real data in the 2000s to better understand the California Current System and its impact on biology. The Darwin model is an emergent model different from models commonly used in biology. Rather than inputting a single phytoplankton or zooplankton for the model to output a result, the Darwin model uses 20 different groups of phytoplankton and 8 different groups of zooplankton and outputs results based on the conditions of the time-based model given by a series of equations. The phytoplankton and zooplankton groups are grouped based on size, growth factors and nutrients, so therefore depending on the conditions, some phytoplankton may be more successful than others. This project focused on physical structures in the ocean known as eddies, with interest in comparing cross-frontal model data to what is seen in the field. For example, if one group of phytoplankton is successful within an eddy of the model data, do we see the same happening in similar conditions in the field? In order to find the answer to whether or not eddy transect data in the model match real data, it is important to take the model data and synthesize it into visual contour plots. This was done through MATLAB, a computer programming language I was completely unfamiliar with before this program. After learning my way around MATLAB, I was able to make contour plots that presented model data of the ocean surface for a given month and day, for any variable in the model data such as phytoplankton, temperature, salinity, and various nutrients. This created a visual to understand the relationship between physical conditions and biology. I am really grateful for this opportunity as it really expanded both my experience and my knowledge of ocean science. I got to experience science and research first hand as well as learn more about research at Scripps Institution of Oceanography. 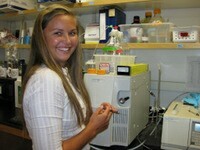 This summer as an REU intern, I had the opportunity to work in Dr. Ron Burton's lab with master's student Elena Duke. Our project involved studying the spawning patterns of fish in our local Marine Protected Area, particularly in two habitats- the kelp forest and off the Scripps pier. In order to do this, we collected fish egg samples from these habitats and molecularly identified them by extracting their DNA, amplifying it via PCR, and sending that DNA off for sequencing. We then analyzed those sequences using databases such as NCBI and identified each egg on the species level. From these data, we were able to obtain results showing species compositions in the kelp forest and off the Scripps pier, which species were spawning in which habitats, when their spawning periods were, and how environmental effects such as El Niño affected these fish populations. We were also able to analyze these results for multiple years and thus draw long term conclusions from the multi-year data. Over this summer, I was able to learn valuable research and interpersonal skills and gain further awareness about our California Current Ecosystem. This experience allowed me to achieve a deeper understanding of the scientific world and its endeavors to better understand and care for our oceans. I also had the opportunity to work with and learn from outstanding individuals who no doubt have helped me along these steps in my scientific career. I would like to thank the Burton Lab for allowing me to have this invaluable experience and Elena Duke for being an outstanding mentor. This summer, I was given the opportunity to work as an REU at Scripps Institution of Oceanography with Dr. Lihini Aluwihare and PhD candidate, Sara Rivera. During these few weeks, we studied the heterotrophic bacteria in the California Current Ecosystem using samples taken from the CCE-P1706 cruise. Our goal was to measure the bacterial abundance and compare the size of the bacteria to previous years. To study the bacteria, I took the fixed samples and used a Blue Angel to filter the bacteria and mounted them onto microscope slides stained with Vectorshield containing DAPI that stained the bacterial DNA. I then imaged the samples using a C1 Nikon light microscope and sized the bacteria using the NIS-Elements program. The exported data from the program was then normalized, and I counted, measured, and calculated the carbon content for each cell. Although our results are still being analyzed, we are also considering running our samples using flow cytometry, observing the influence of grazers within the system, or observing the bacterial strains present in our samples for validation and further understanding of the current data we possess. This experience helped me understand how scientific observations can be approached and carried out into projects. I also learned how many individuals with a diverse background and areas of study can all complement and equally contribute toward advancing our knowledge of the California Current Ecosystem. Most importantly, my REU summer experience reinforced my desire to further my education and continue in the research field. I would like to thank Sara Rivera, Dr. Lihini Aluwihare, and the CCE LTER REU program for offering me such a rewarding and valuable opportunity. During the summer of 2017 I had the pleasure of working as an REU at Scripps Institution of Oceanography under Dr. Lihini Aluwihare and PhD student Brandon Stephens. 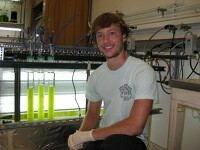 The focus of my study was on colored and fluorescent dissolved organic matter in the California Current Ecosystem. The data I worked with were from the previous cruise in June, CCE-P1706. In order to analyze the data I ran all 225 samples collected throughout the cruise (4 cycles, 3 transects) in a spectrophotometer for absorbance. This helped gain information on chemical composition and molecular size of colored dissolved organic matter. Then, the samples were run in a fluorometer to collect the excitation and emission outputs for each sample. These samples were then coded through MATLAB using a process called PARAFAC. The MATLAB PARAFAC then output components of the FDOM (fluorescent dissolved organic matter). This information was then analyzed with reference to different information regarding the samples like distance offshore, DOC concentrations, depth, etc. This data was then put into terms using a quinine sulfate standard and can be analyzed with prior cruise information on FDOM (from CCE-P1604, P1408, Student cruise 1507) to gain information about the chemical transformations that happen with reference to different circumstances (like “Blob” year or El Niño). This summer internship experience was incredible and helped my ability to understand how the ocean is connected to current climate circumstances. It helped me grow a respect for research and the ability to analyze complicated processes that are influenced by thousands of possibilities. It helped reinforce my passion in sustainability and understanding the effects that humans have on the environment, and specifically the ocean. 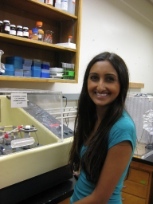 During this summer, I worked in Dr. Brian Palenik’s Lab with the guidance of PhD student Maitreyi Nagarkar. I analyzed Synechococcus diversity in the California Current Ecosystem using filters from the four cycles observed in the P1604 cruise. After extracting DNA from the filters, I used primers to amplify the ITS region and sent it to RTL for sequencing. I used a program to assign taxonomy to the sequences and discovered that the offshore sites had greater amounts of Synechococcus from clade IV, and the coastal site had more clade I sequence data. In addition, there wasn’t much of a difference in Synechococcus diversity when I compared the surface sample data to deeper depth data from the same site. I would like to thank Dr. Brian Palenik and Maitreyi for this research opportunity I had this summer. I gained a better understanding of the different species of Synechococcus and their environment, as well as a closer look into the approach of research. I plan to continue working on this in the Palenik Lab. This summer in the CCE LTER REU program I worked in Dr. Katherine Barbeau’s lab under the mentorship of PhD student Lauren Manck. The Barbeau lab is primarily interested in studying trace metals in the ocean and in particular, iron. For that reason, we studied iron uptake in a very important marine bacterium, Alteromonas macleodii, which previous work has suggested is responsible for a significant part of iron cycling in the CCE. We created a gene similarity network that helped us identify which genes Alteromonas most likely uses to take up iron and then we analyzed the expression of these genes through qPCR analysis, under iron limited conditions. During my time in the lab I learned many valuable techniques such as how to prepare slides for epifluorescence microscopy, how to culture bacteria and do growth experiments with them, and I also learned how to do PCR/qPCR and gel electrophoresis. This program was also helpful when it came to getting advice from graduate students about the application process of applying to graduate school. Both the techniques I learned and the advice I was given will be invaluable in my career moving forward. 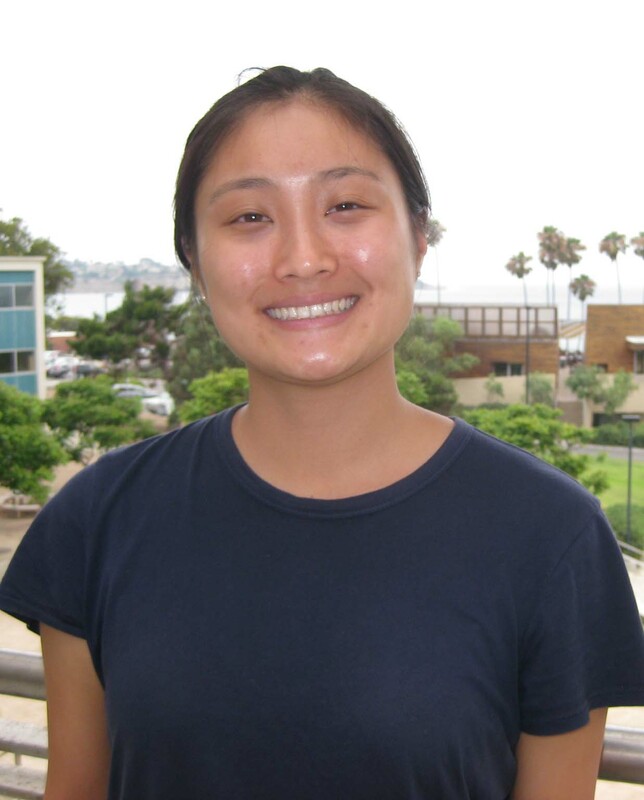 As an REU student in the Burton Lab at the Scripps Institution of Oceanography, I studied the spawning activity of fish populations in two of San Diego’s Marine Protected Areas (MPA) using DNA barcoding with PhD candidate, Alice Harada. We collected fish eggs from the end of the SIO pier using a 505 micron net. 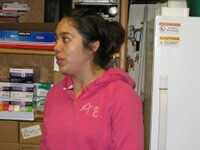 The fish eggs were sorted and counted and tored in ethanol at four degrees Celsius. We crushed the eggs and put them in AE buffer to extract the DNA which we then amplified with PCR using species specific primers and COI gene primers, and later 16S primers. We sent the PCR product to be sequenced and compared the data to reference sequences in GenBank NIH. This study shows that DNA barcoding is a good alternative to other fish population studies. These data are able to show the seasonal changes in spawning activity and changes in community composition over time. This summer I learned a lot about DNA barcoding and the molecular tools scientists’ use as well as ecological knowledge of the fish populations that are in two of San Diego’s MPA’s. I’m thankful for the opportunity to work with the California Current Ecosystem Project and to work in Ron Burton’s Laboratory. I plan to continue working in Ron Burton’s lab on this project. My name is Wiley Wolfe and I am a senior at Oregon State University majoring in chemical engineering with a minor in oceanography. 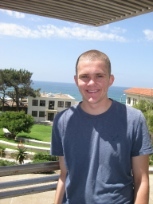 During the CCE LTER REU internship, I worked in the Martz lab focusing on ocean chemistry. The goal of my summer was to determine the chemical spatiotemporal variability of Agua Hedionda Lagoon. This means that I was looking to see how much the chemistry of the water in the lagoon changed with space and time. To do this I used a WavepHOx sensor which, every 15 seconds, measures pH, dissolved oxygen, temperature and salinity. The WavepHOx was paired with a GPS watch so the time and location of each measurement was recorded. The sensor is designed to be mounted on the bottom of a paddle board. Therefore, a large piece of my summer was spent on a paddle board, making for a pretty great summer internship. After the data was collected, I analyzed it using MATLAB. The data collected showed that there was significant variation in the lagoon. This was especially evident in one corner of the lagoon that was a salt marsh, a type of wetland. We believe that most of this variability is due to the daily cycles of respiration and photosynthesis. This variability is important for things such as accurately determining the carbon flux or productivity in the lagoon. Some future work I would like to do on this project is, first - calculate productivity using an assumed alkalinity. Second, further analyze the calibration data for the WavepHOx. Finally, take more measurements in the lagoon using a sensor that is able to measure two components of the carbonate system to completely constrain it. Overall my time in San Diego was a ton of fun and great experience, I learned a lot about the carbonate system, electronics trouble shooting, computer programming, and field data collection. During the summer of 2016, I worked in Dr. Mark Ohman’s Lab under the guidance of graduate student Jennifer Brandon on a microplastics project. 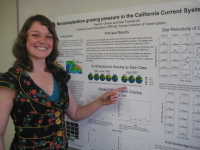 Specifically, my REU project involved researching the multi-decadal changes in microplastic sedimentation rates in the Santa Barbara Basin (SBB). The question was whether or not microplastic sedimentation rates changed through a long-term timescale and if there was a distinct time horizon when plastic first emerged in the sediments. The SBB presents a unique opportunity to analyze microplastic sedimentation through time because it’s anoxic at the basin bottom and consequently no biological organisms mix the varved sediment layers that correspond to distinct years in time. I analyzed a sediment core extracted from the SBB which was chronologically dated from 2009-1834. The core was previously processed into 83 vials and each vial corresponded to a year or two in time. After enumerating, imaging, measuring, and recording various characteristics about each of the 1,128 microplastic pieces extracted under the microscope from vials 1-13, corresponding to years 2009-1992, it was apparent that fibers were the dominant particle type throughout each vial. Interestingly, the fibers were of an array of colors (blues, teal, tan, copper, pink, and green), however white was the principal fiber color. The majority of the microplastic pieces extracted from the sediment samples of 2009-1992 ranged in size from 0.5-1.0mm. From the data obtained thus far, a potential connection may be seen between microplastic sedimentation and annual rainfall in the Santa Barbara area; sediment vials corresponding to years 2005 and 1997-99 had a greater number of microplastic particles compared to other vials and years 2005 and 1997-98 were distinctly heavy rainfall years for the area. However, further analysis of the remaining sediment vials needs to be completed in order to fully understand the effects of contamination and accurately calculate the sedimentation rates of microplastics through time in the SBB. I would like to thank Dr. Ohman and Jenni for the invaluable research internship I had the privilege of experiencing this summer. I gained a further understanding of the process-oriented approach of research and a greater appreciation of the importance of the California Current Ecosystem. Additionally, my awareness was expanded regarding the extent at which microplastics infiltrate and proliferate throughout the ocean and consequently the ramifications they pose for marine life. The implications of the microplastic research greatly aligned with my sincere passion for marine conservation. This summer has reinforced my future career aspirations to use all the means at my disposal in order to mitigate anthropogenic threats jeopardizing the integrity of the ocean and endangering life within its realm. 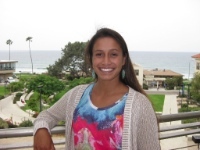 During the summer I had the honor of working as an REU at Scripps Institution of Oceanography under the guidance of PI Dr. Lihini Aluwihare and PhD student Sara Rivera. 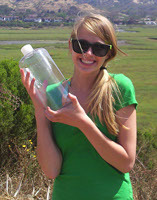 My focus of study was on the heterotrophic bacteria in the California Current Ecosystem. The question we attempted to answer was whether El Niño had an effect on the bacterial abundances and bacterial carbon content. The bacterial abundance and carbon data from P1604 (El Niño year) was compared to similar data from P0605 (normal year), P0704 (normal year) and P1408 (“Blob” year). In order to analyze the collected samples I warmed them, filtered the samples, stained them with Vectorshield containing DAPI and mounted them on slides. Next I imaged 20 fields of view per sample on a Nikon-C1 microscope and utilized the images to count and size the heterotrophic bacteria. The collected count data was then converted into bacterial abundance per milliliter, and the collected size data was converted into carbon content using pre-determined relationships between size and carbon content. The aforementioned data was then compared to the past cruises to determine if El Niño may have had a noticeable effect on the bacterial abundance and carbon content in the microbial loop. Our initial findings suggest that most of our data fit in the range of observations from P0605, but significant spatial differences were observed that still need to be explored in the context of other available datasets to discern any possible El Niño impact. This summer was truly an incredible experience and it helped reinforce my desire to continue on in my higher education and pursue a PhD. I am going to continue on in Dr. Lihini Aluwihare’s lab through an independent study to complete the data set and further analysis. Dr. Aluwihare, Sara Rivera and I also want to compare our results to different data collected about the microbial loop so we can achieve a more complete picture of what is happening and why certain trends are present. I look forward to seeing this project through to completion and getting a more well-rounded idea of the research process. During my REU with the CCE-LTER project over the summer, I worked in the Ohman lab at SIO studying machine learning techniques for the automatic classification of digital zooplankton images. Classification and quantification of plankton samples is necessary to understand plankton distributions, create oceanographic models, and study population ecology. Automating this process can save significant time and resources. Under the guidance of Dr. Mark Ohman and PhD candidate Jeffrey Ellen, I wrote computer algorithms that were able to surpass previous accuracy benchmarks. The zooplankton images that I worked with were collected and preserved as part of the CCE-LTER project and digitized using a high-resolution scanner, called a Zooscan. Presently, images collected using the Zooscan are sorted using an older, less accurate algorithm and the results are verified and corrected manually, a resource intensive process. Improving the accuracy of the algorithm has the potential to greatly reduce the amount of time invested in the manual correction step. Furthermore, future image collection techniques may necessitate accurate, fully-automatic classification due to the greater volume of images that may be collected. One example of this is the submersible Zooglider, a prototype, which takes thousands of images while traveling through the water. My improvements over existing algorithms were obtained by the use of a Convolutional Neural Network (CNN) which incorporated geometric features and environmental metadata about the collection of the images. This geometric and environmental information was previously not used in the CNN and was shown to improve the overall classification accuracy when added. This is a step towards the goal of having a completely autonomous classification process. This experience has helped me to improve my understanding and implementation of the scientific process. 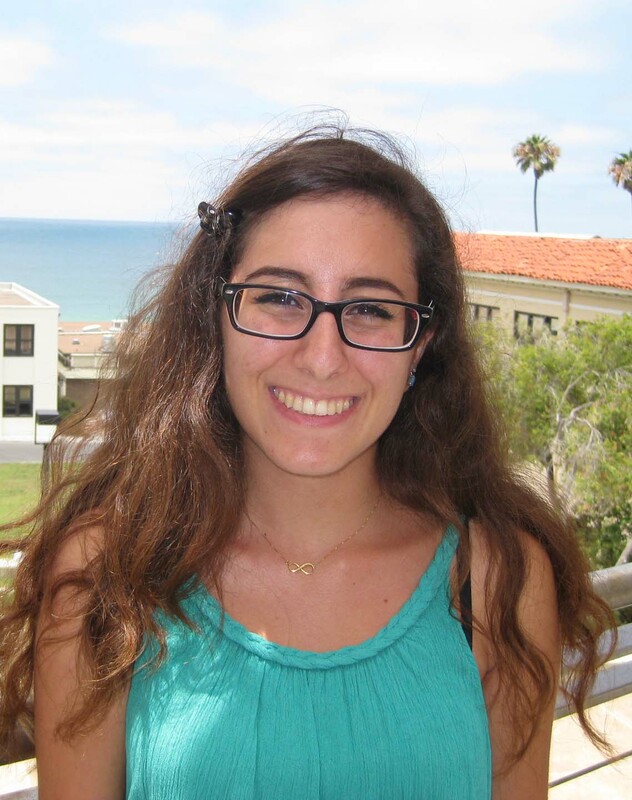 During my REU, I gained a new appreciation for the interdisciplinary aspect of science. I interacted with many individuals of highly-focused and varied backgrounds who work closely together to advance our understanding of the oceans. I also was able to improve my approach to problems by applying a strict scientific mindset; developing a testable hypothesis followed by executing well-designed experiments to validate or invalidate the hypothesis. This was the first opportunity that I've had to pursue a scientific question full-time, a distinct difference from regular coursework. Given the substantially greater amount of time to explore my hypothesis I was able to investigate many more of the related questions that are raised during the investigative process. I thoroughly enjoyed my time working in the Ohman lab this summer and it has provided me a unique insight into how research is conducted. This summer, I had the privilege of working in Dr. Michael Landry’s lab under the supervision of PhD student Ali Freibott. My project was estimating the ciliate biomass in the California Current during the “Blob” and El Niño warm water anomalies. Ciliates are heterotrophic plankton that represent up to one third of the heterotrophic biomass in the California Current. They are extremely fragile and require a different filtering process than other plankton. I used samples that were preserved using acid Lugol’s gathered during the CCE process cruises of 2014 (“Blob” year) and 2016 (El Niño year). I filtered the water onto slides and analyzed them using light microscopy methods. Then, following previously outlined methods, I counted ciliate cells and calculated the carbon biomass. We found that the ciliate biomass during the El Niño cruise was higher than the biomass found during the “Blob” cruise. There was a wider range of biomass in samples from El Niño than in samples from the “Blob.” Additionally, we found that the water temperatures in the “Blob” cruise were generally higher than the El Niño cruise, and that chlorophyll levels had a comparable range between the respective cruises. 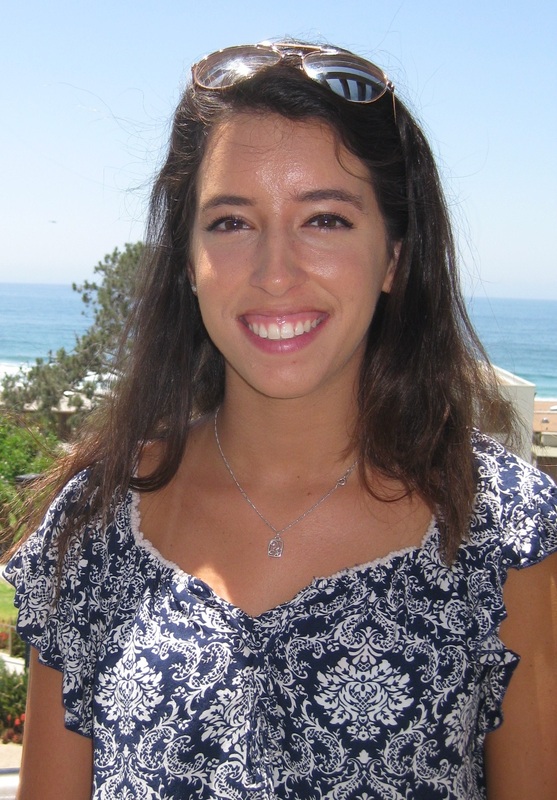 As an REU student in the Ohman Lab at Scripps Institution of Oceanography this summer, I studied mesozooplankton grazing in the California Current Ecosystem under the guidance of Dr. Mark Ohman and graduate student Jennifer Brandon. I analyzed zooplankton samples from process cruise P1408, and then examined possible factors affecting spatial variability in mesozooplankton grazing and sought to determine an appropriate metric for approximating the factor of food concentration. In the laboratory setting, I handled frozen zooplankton collected during summer of 2014 and analyzed the samples for gut fluorescence on fluorometers—the measurements of chlorophyll-a and degraded gut pigment served as an indication of zooplankton grazing through ingested phytoplankton. After working through the five cycles of cruise P1408, I used the data to compare possible factors affecting patterns of zooplankton grazing. Several variables were tested, including distance from shore; size of zooplankton; and concentration of phytoplankton available for consumption. The same was then done with preexisting data from cruise P1208. Focusing on the factor of food concentration, I analyzed data collected directly from cruises P1408 and P1208 to find a metric of phytoplankton availability that could represent a clear relationship with zooplankton grazing rate. My participation in the CCE LTER REU program has allowed me to gain invaluable experience and knowledge. I have developed a greater appreciation for the California Current Ecosystem, and am now better informed of topics varying from local zooplankton species to graduate school programs. I am so thankful to have had the opportunity to learn so much in one summer, and to have worked with amazing people at such a beautiful location! 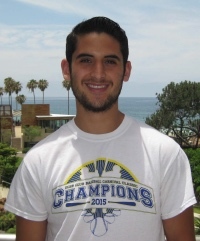 As my first formal internship, this summer I had the honor to work and learn in Kathy Barbeau’s lab at Scripps Institution of Oceanography, performing trace metal analysis under the guidance of third-year PhD student Angel Ruacho. Copper is a trace metal of concern in San Diego Bay and coastal waters off Southern California because it is toxic for phytoplankton species at high concentrations. The main input of copper comes from antifouling boat paint, which is used to prevent marine organisms from growing on boat hulls. Coastal runoff is another significant source. I had the opportunity to explore San Diego Bay on a small boat to collect samples all over the bay at 7 different locations, as well as sampling from the Scripps Pier, a coastal monitoring station. Our studies included the characterization of copper-binding organic ligands by using electrochemical measurements in order to determine possible indicators of copper toxicity. The method used is called Competitive Ligand Exchange – Adsorptive Cathodic Stripping Voltammetry (CLE-ACSV). From my experience, I gained an understanding of the basic application of this method from a chemistry perspective and also how the data are analyzed to determine copper and ligand concentrations, in addition to binding strengths of ligands. This exposure to research with oceanographers helped me to understand the importance of all disciplines in science. As an engineering major, I found this experience not very convincing at first, but ultimately it was truly an astonishing opportunity to remind myself how all science is interrelated and that every scientist has something to learn from another. I never realized all of the research that is being done on our oceans and the importance that it has for our planet. After this summer, I definitely felt more inspired to appreciate science and its power to answer the many challenging questions that currently surround us. During my CCE-LTER REU experience this summer I worked with Dr. Art Miller on a physical oceanography modeling project. I analyzed output from a combined biological-physical model of the California Current Ecosystem called the Darwin Model. This model represents the changing populations of phytoplankton and zooplankton in the CCE over time, as well as changing physical variables such as temperature, ocean velocity, and salinity. By utilizing output from this model, we aimed to identify correlations between ocean physics and phytoplankton communities in this ecosystem within physical ocean structures called eddies. More specifically, we hoped to identify why different phytoplankton communities grow differently at different depths within an ocean eddy and to see if emergent biological features in the model exhibit similar cross-frontal transitions as observed in the CCE. Specifically, I utilized the computer programming language MATLAB to plot output from the model in the form of Network Common Data Form (NetCDF) files. Future work needed on this project will be to use statistical analysis to quantify the model output and then compare it to observed data from the CCE. The CCE is one of the most productive ecosystems in the world, and by better understanding and improving models to represent it, we can better predict the effects of short-term weather events and long-term climate change on the biological populations within it. 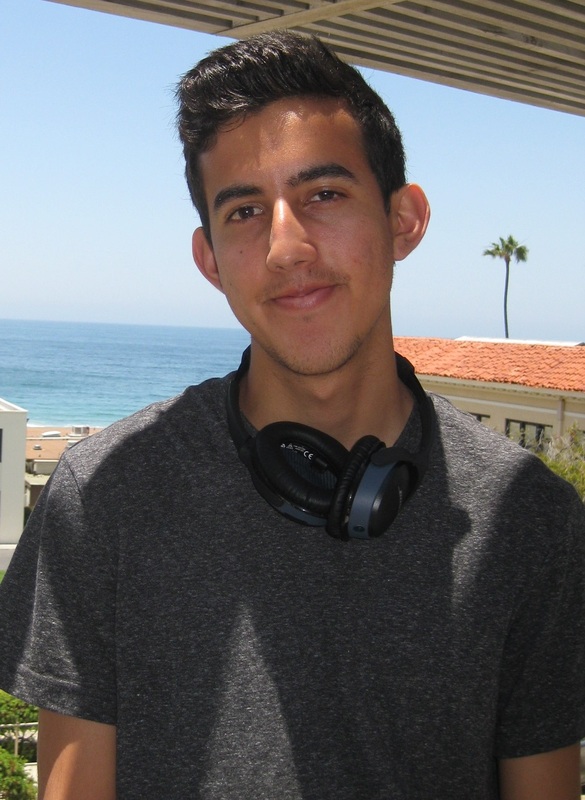 I truly enjoyed working on this project because it combined biology, physics, and computer programming- all important aspects of the degree in environmental engineering that I am pursuing at UC San Diego. I had the opportunity to greatly improve my MATLAB skills, but I also learned about modeling, oceanography, and climate science research being conducted at SIO. Through the CCE-LTER REU program, we received tours of different collections and laboratories at SIO, and we also got the chance to meet a wide array of scientists, faculty, and graduate students, which allowed me to learn about research in fields other than my own. Overall, this experience greatly expanded my knowledge about the research fields I am interested in, and I plan on continuing to pursue my passion in preserving and protecting the environment utilizing what I learned during my experience at Scripps Institution of Oceanography. 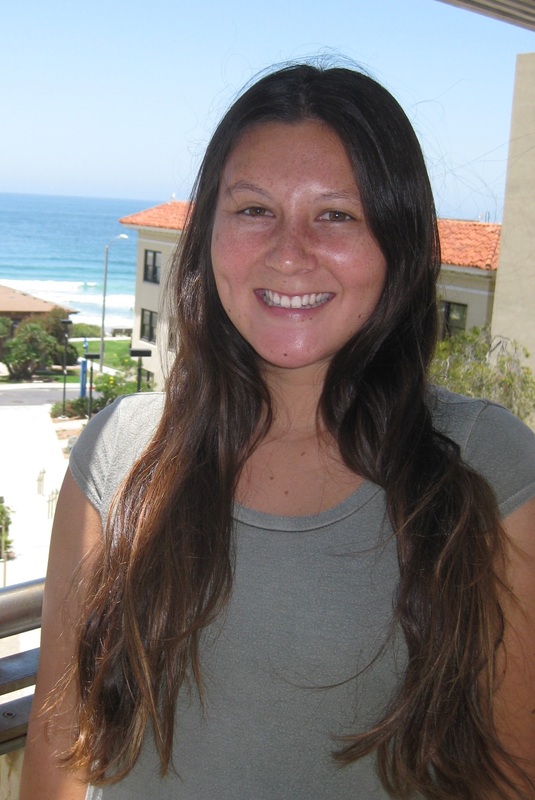 During my three months with the CCE LTER internship at Scripps Institution of Oceanography, I had the opportunity to work in the Palenik Lab under the guidance of PhD student, Maitreyi Nagarkar, and PI - Dr. Brian Palenik. My research focused on two questions during the three month period. The first one focused on the population dynamics and the clade distribution of Synechoccocus, an ecologically important cyanobacteria, at the SIO pier. To approach this question, I collected sea water samples at the SIO pier regularly, extracted total environmental DNA, and amplified the RpoC gene, which is useful for distinguishing between the various clades of Synechococcus. I created clone libraries of RpoC, which allowed me to analyze the clade distribution during Synechoccocus population blooms and crashes at various time points. My second research question investigated whether Gymnodinium, a genus of photosynthetic dinoflagellates that has been shown to exhibit mixotrophy in other studies, grazes on Synechoccocus. I set up co-culture experiments to create nutrient-deprived conditions in order to induce grazing. The result, measured through fluorometry and microscopy, suggested that in vitamin deficient conditions, Gymnodinium seems to have a possible grazing relationship with Clade I of Synechoccocus. My three months as a CCE LTER REU was a very inspiring experience. It opened the gate of oceanography research and informed me of different fields of research related to oceanography. It also better prepared me for graduate school and led me to understand what research will be like as a future career. This summer was a great step towards pursuing my future endeavors, where I had the honor of working under Dr. Ralf Goericke on the CalCOFI group’s oceanic research. I was learning something new every day, whether it was the chemical dynamics of the ocean, or just a new way to visualize different relationships using code. My job function was a data analyst, and I was essentially going through decades worth of pH data to either confirm that the data were true, or to decipher new relationships that can allow us to better understand the ocean’s chemistry. For the first half of my internship, I was examining data from 2 pH sensors used on CalCOFI cruises, and comparing them to a set of theoretical pH values. I was able to find that both the sensors were faulty for multiple reasons, some of which were physical limitations and calibration issues. When that was discovered, I was back at square one, where what I had was only theoretical. Like any scientist in that situation, I started making sense of what was available to me, seeing how factors such as nitrate and oxygen contents are related to pH. Through that, and with the help of members of the CalCOFI group, who I owe many thanks to, I was able to develop a relationship that calculates the surface water pH of the ocean based on 3 factors. This will come in great aid for scientists trying to study things like ocean acidification or calcification. As a chemical engineer, the computer and software skills that I learned to develop models, examine sensor reliability, and regress relationships for over 60 years worth of data, were invaluable experiences that I am very grateful for. Hence, I would recommend anyone trying to get into the scientific field to pursue a position in the CCE-LTER REU program. 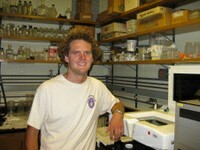 I had the opportunity to work in the Todd Martz Lab under mentor and Ph.D. candidate Phil Bresnahan. The lab develops autonomous ocean sensors, most notably the SeaFET pH sensor and SeapHOx pH & oxygen sensor, and is currently developing new sensors for total alkalinity and dissolved inorganic carbon. The need for autonomous, high precision ocean chemical sensors is growing as the oceanic uptake of carbon dioxide increases, thus decreasing ocean pH by 0.002 pH a year. This small change can only be measured with very precise sensors, such as the ones the lab develops. These sensors have been distributed to collaborators in SIO and all over the globe. A new area of study is the very near-shore environment, where Phil has implemented a method to measure near-shore pH by attaching a SeapHOx sensor to a stand-up paddleboard (SUP). My project was to take the existing SeapHOx and modify it to be lighter, smaller and more hydrodynamic. To do this, I used computer aided design (CAD SolidWorks) to design a new housing that was less than half the size and weight of the previous version. It also includes a dome that allows the sensor to move through the water with minimal drag. The new design has a half-cylinder shape, allowing it to attach to potentially any flat surface. Along with the new design, a new battery pack was implemented to allow for recharging, which was not possible with the previous versions. The modifications highly simplify the deployment and storing process of the sensors. The sensors are now currently being built in bulk numbers to be sold to collaborators who are in need of one, such as the Air Sea Interaction Research Lab who will attach one to a Wave Glider. The new design is called the WavepHOx. I also participated in data collection and data mapping while on a SUP with a SeapHOx. I determined the best method to mapping the data and portraying the spatiotemporal differences in sea surface pH (up to 0.2 pH change in a single day!). The WavepHOx has huge potential for many applications, such as collecting baseline measurements to compare anomalous events to (rain, high surf, algae blooms...), long distance/open ocean autonomous sensing, and local outreach programs for people interested in surfing and maintaining the ocean's chemistry. The CCE-LTER REU program gave me invaluable experience in ocean sensor development here at SIO. I am very grateful for the opportunity and all that I have learned while participating in the REU program. 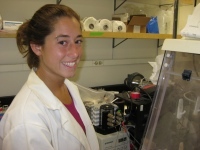 This summer, I worked in Mike Landry’s Lab with mentor Moira Décima. 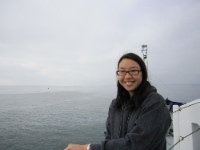 My work consisted of learning a relatively new method of secondary production estimation and implementing it on the CCE LTER research cruise in August (P1408) to measure the chitobiase-based production rates of crustacean zooplankton communities. This method is based on the fact that crustaceans release a molting enzyme (chitobiase) into the water column when the molt. Assuming that chitobiase is microbially degraded at a certain decay rate, the rate of chitobiase production should equal the slope of the decay curve. Thus, chitobiase levels in the sea water along with the rate of decay calculation can provide a productivity estimate. The decay curve was achieved by sampling seawater, incubating it for 24 hours and measuring chitobiase following a protocol developed by Sastri and Dower (2006, 2009). Further analysis will determine bioproductivity rates using chitobiase production estimates and crustacean zooplankton biomass (or total chitin measurements). The CCE LTER REU experience has been unforgettable and a truly eye-opening experience. I was able to come away not only with valuable lab experience, but also with a greater understanding of graduate school, biological oceanography as a field, and future research career prospects as well. 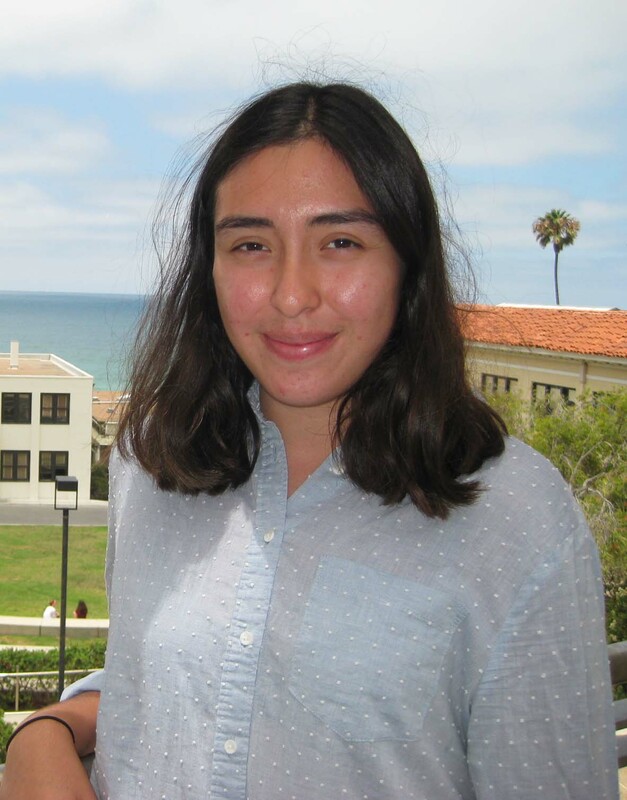 As part of the CCE LTER REU internship this past summer, I had the opportunity to work in the Palenik Lab at the Scripps Institution of Oceanography, under the mentorship of Dr. Brian Palenik and grad student Maitreyi Nagarkar. As well as helping with time series pier collections and other lab duties, I conducted guided research on the survival of Synechococcus at differing ocean depths. 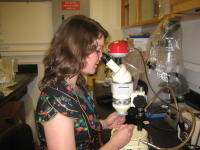 From the collection and filtration of sea water samples to the organization of specific Synechococcus DNA sequences, throughout my REU experience I was able to gain a greater perspective on the methods and techniques of biological research. I created various clone libraries of Synechococcus DNA by isolating specific sequences extracted, amplified, and cloned through molecular methods. Through this, I was able to observe the relative preference of one “clade” of Synechococcus at deeper levels of water, suggesting the existence of adapted metabolic differences between Synechococcus found on the surface and those at deeper levels of water. Because this type of depth research on Synechococcus is relatively uncommon, I found these striking results very exciting. Overall, my experience as a CCE LTER REU has opened my eyes to the exciting possibilities of biological research, as well as providing me with a greater understanding of difficult concepts from a hands-on perspective. I am looking forward to applying these skills to a future career in research science. This summer I had the honor of working in Dr. Michael Landry's lab where I investigated how climate change influences microplankton community distribution and dynamics. Under the guidance of third year Ph.D. student Ali Freibott, I spent the first two months of my internship processing samples that were collected along the frontal system from the 2012 CCE Process Cruise. Using light microscopy I calculated the biomass of the ciliate community and dinoflagellate community and then illustrated the distribution of these communities along the location of the frontal system. The data I procured will contribute to the overall study of microplankton community distribution and composition that has been compiled over the years of CCE LTER studies. For the last month of my internship I had the amazing opportunity to live aboard the R/V Melville where I took part in multiple types of oceanographic sampling on the CCE P1408 cruise. I worked with a team of scientists to collect seawater samples whose analysis will help us understand microplankton community composition, distribution, and dynamics under El Nino-like conditions. In particular I became familiar with the design, execution, and analysis of dilution experiments which are a means of calculating community growth and grazing rates. We designed our experiments to explore the effects of size fractionation and nutrient limitation on phytoplankton communities. Additionally we made our first attempt to use metagenomics to calculate species specific growth and grazing rates. My journey on the R/V Melville has been an invaluable living and learning experience. I am so grateful for the opportunity to work amongst such accomplished scientists. It was refreshing to learn about oceanography in such an interactive way. 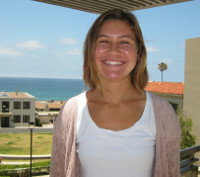 My incredible experience at Scripps this summer has inspired me to continue pursuing a career in the field of biology. This summer, I worked in Farooq Azam’s lab under the mentorship of Post-doc Byron Pedler Sherwood. My work as part of the CCE LTER REU program involved measuring protein synthesis rates of bacteria and converting synthesis rates into bacterial carbon productivity via leucine incorporation and centrifugation. I also participated in the CCE LTER P1408 cruise by taking seawater samples at different stations and depths off the coast of Point Conception. Before embarking on the process cruise, I created a project to test the best forms of storage on the cruise. I took seawater samples from the SIO pier, processing all samples within the same day, and studied the effects of storing samples across different periods of time and at different temperatures. With the results I collected for the duration of the month prior to the cruise, I learned that the longer a sample is stored and the higher the temperature it is stored at, the higher the variability. I used this information to my advantage while on the cruise. My experience in this program has been eye-opening in more than just areas of science. I had the opportunity to sail into the middle of the ocean for a month, work on a research vessel, and meet people I thought I would have never met before. Working with SIO gave me a plethora of knowledge from other labs as well as my own. This internship has peaked my curiosity in not only biology, but other sciences and worldly topics as well. Most importantly, I learned the importance of bacteria, something I never thought I would be studying, in our lives, as it represents a major pathway for organic matter in marine ecosystems. In short, sometimes it’s the little things that matter most! I am working with Art Miller and his research team this summer 2013; my work as part of the CCE LTER REU involves the quantification of spatial structures of phytoplankton and their relationship to ocean currents, waves and ocean fronts through data manipulation of large data sets generated with ROMS (Regional Ocean Modeling System) to learn whether the simulations resemble observations and to diagnose the physical controls of the system. The ecosystem model is unique in that it contains a large number of phytoplankton “species” which are given arbitrary characteristics that have trade-offs in their growth rates and physiological parameters. I am gaining very valuable skills as I am learning how to use MATLAB to read the netcdf files, in addition to learning about physical oceanography, which I did not have much background in before I started the internship program. I have had the opportunity to meet other students and have learned from their grad student journey at SIO. Learning about the physical attributes affecting the biological ecosystem in the California Current System has been an exceptional learning experience as part of my environmental engineering preparation. I am so happy to be part of the team and I look forward to possibly continuing my graduate education at this wonderful institution. In addition, my goals are to have a better understanding of the subject as a whole, and being able to come to meaningful observations that will be a significant contribution in the field. While working in Brian Palenik’s lab during the summer, under the mentorship of Dr. Palenik and Post-doc Javier Paz Yepes, I expanded upon work I had done previously there with different strains of Synechococcus cyanobacteria. During the spring I had worked studying the effects of secondary metabolites in the supernatant from each strain on the development of other strains. Throughout summer, I studied the effect these secondary metabolites had on sea life communities off the SIO pier. This was accomplished by setting up half of the experiment to include seawater with the supernatants of four strains studied. In addition, I set up the other half with seawater and the cells of the same four strains. The experiment is monitored by utilizing both microscopy and flow cytometry. With the first half of the experiment, I will be able to study whether or not the abundance of different genera are effected, and with the second part I can see what the effect, if any, had on the grazer community. As part of my REU experience, I have the opportunity to work under the guidance of Dr. Mark Ohman and second year Ph.D. student, Jennifer Brandon. 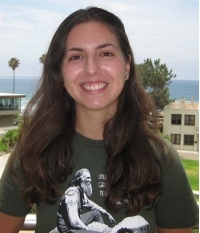 My research focuses on mesozooplankton grazing rates across oceanic fronts in the California Current Ecosystem, with major emphasis on pelagic copepods. Copepods contribute vitally to both oceanic food webs and the global carbon cycle, therefore understanding how they effect and are impacted by changing oceanic conditions is becoming increasingly important. The California Current Ecosystem experiences natural variability at seasonal, annual, and decadal scales. However, long term research conducted by Dr. Ohman and his colleagues indicates that the CCE is experiencing increasing and continual warming as a result of global climate change. Their research also indicates that as ocean winds and other conditions change, the occurrence of submesoscale ocean fronts is increasing. Ocean fronts can be “hot spots” for primary production and provide extraordinary feeding opportunities for species at various trophic levels. The aim of the research that I am conducting this summer is to determine whether zooplankton grazing upon phytoplankton changes along these frontal boundaries. In order to do so, I am utilizing the gut fluorescence method. The gut fluorescence method estimates the grazing rate of zooplankton by quantifying the amount of chlorophyll-a and phaeopigment in the zooplankton pre-egestion. This is accomplished initially by sorting the collected zooplankton from residual phytoplankton and placing them in an acetone solution. The chlorophyll pigments are then released from the zooplankton tissue using sonication and centrifugation. Finally, the resulting supernatant is analyzed with a fluorometer. Being that I am an Ohioan, born and raised, having the opportunity to be part of the CCE LTER program and conduct meaningful oceanographic research is truly incredible. Through this experience, I am learning valuable research methods that I hope to employ during my graduate studies. I am also learning a great deal about the graduate school process, the ins and outs of maintaining a lab, and the importance of collaborative effort. Most importantly however, I now have a greater understanding of zooplankton ecology and appreciate the very important role zooplankton play on both local and global scales. 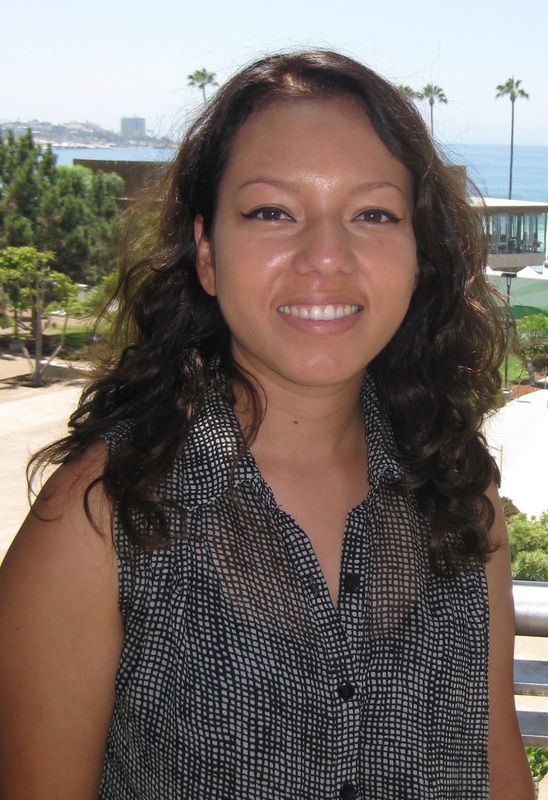 Throughout my senior year attending UC San Diego (2012/13), I was given the opportunity to participate in the CCE-LTER REU program. Working with Dr. Art Miller, I spent the year looking at the output of a Darwin model. My goal was to investigate the relationship between biological activity in the ocean and physical processes, in particular eddy currents. The main question that I was trying to answer through my research was what happens to phytoplankton in an eddy? To answer this question I spent most of the year making various plots of the 20 different phytoplankton variables in the Darwin model and looked at their concentration in one eddy off of the Southern California coast. I looked into their distribution in relation to depth as well as through time. Towards the end of the year I began looking more specifically into the correlation between different phytoplankton variables and surface height. By the end of the year I became quite familiar with Matlab plots and netcdf files. My experience working with Art Miller developed my skills as a scientist and his advising style encouraged me to ask relevant questions to keep pursuing my research questions. Overall my time in the CCE-LTER REU program has been a great experience; it has given me a sense of what research in Oceanography is. The skills I have learned over this past year have helped me prepare myself for my future studies in Oceanography in graduate school next year! For my internship in the CCE-LTER REU program, I had the opportunity to work with Dr. Tony Koslow on a project that investigates our ability to assess the state of the ocean. More specifically, I carried out a meta-analysis on Pacific Ocean observation programs to determine where and how the physics, chemistry, and the biology of the ocean are measured. From this analysis and through mapping these parameters, Dr. Koslow and I determined that even though the observation programs are measuring the physics and the chemistry of the ocean adequately, biological monitoring is severely lacking or inconsistent. This issue is of particular importance today because scientists are unable to accurately evaluate the state of the marine ecosystem as a whole. Overall, my experience with the CCE-LTER program has been invaluable. This wonderful opportunity has enabled me to learn about the field of oceanography and the scientific research each Pacific Ocean observation program is currently conducting. 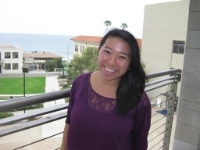 In addition to learning about these various monitoring programs, I also had the chance to attend research seminars where I became familiar with the diversity of research at Scripps. I am excited to apply what I have learned this summer in my future career in the field of biological sciences. For my internship in the CCE-LTER REU program, I had the opportunity to work with Dr. Kathy Barbeau and the graduate students in her lab to study the role bacteria play in the biogeochemical cycling of iron. My project involved metagenomic analysis of the microbial community in environmental samples and in iron addition grow-out incubations. In order to construct a clone library for microbial community analysis, a target gene had to be selected as the phylogenetic marker. Since the 16S rRNA gene contains both highly conserved and variable regions, it was chosen as the appropriate marker. The target gene was then amplified from environmental DNA extracts using PCR. I learned how to purify these amplicons and insert them into a plasmid vector. I became very familiar with the E.coli cloning procedure to grow out the competent cells with the recombinant vector and how to purify these plasmids with the gene insert to prepare them for analysis. I learned how to use sequence databases and alignment tools along with how to make phylogenetic trees to evaluate bacterial community composition. This opportunity to participate in the REU program has been an extremely valuable learning experience. This summer I have not only gained familiarity with using techniques in microbial and molecular biology, but I have also learned the importance of perseverance and patience when conducting research as it can be a slow and challenging process. The program also gave me the unique opportunity to hear the perspectives and advice of several graduate students based on their personal experiences. The skills and knowledge I have gained throughout this summer will definitely carry over into my future pursuits in graduate school and beyond. 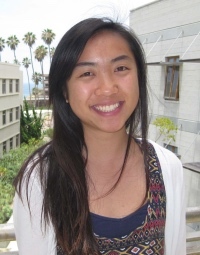 I am especially grateful for the guidance I have received from all the members of the Barbeau lab and am excited to continue and expand my research during this coming academic year as part of my ESYS senior internship. This summer, I interned in the Palenik lab, which focuses on studying a marine cyanobacterium called Synechococcus, and also volunteered with the Landry Lab on the CCE process cruise (P1208). On land, I had the great opportunity to learn about a variety of topics with my fellow undergraduates under the supervision of Dr. Brian Palenik, including sustainable biofuels and seasonal green blooms. My specific project focused on Synechoccocus clumping. Synechoccocus are traditionally thought to be unicellular phytoplankton, and the recent discovery that they can (and consistently do) form micro-colonies in the field is opening the doors for exciting new research. I introduced external stressors in the form of sugars and other chemicals to Synechoccocus cultures to test whether these chemicals can induce or disrupt clumping. The samples were analyzed via epifluorescence microscopy and a grid counting chamber, while cell growth was monitored through fluorometer readings. The purpose was to develop an idea of what sort of structures exist on the cell membrane surface that may be involved in this clumping behavior. During the CCE-LTER research cruise, I assisted in collecting water samples from the CTD (Conductivity, Temperature, and Depth recorder) Rosette and from drifters. The CTD Rosette collects water from several depths, while the drifters are used as a method to incubate phytoplankton and grazers within the ocean. These samples were filtered, while some were preserved in liquid nitrogen for future analyses on POC, chlorophyll, and DNA content. Other samples were analyzed for chlorophyll content on the ship using a fluorometer. I also collected some samples across a front to observe Synechoccocus clumping distribution. These samples were preserved with paraformaldehyde and stored in the -85˚ freezer and later made into slides to be observed via epifluorescence microscopy. It was rather odd working through the night and eating breakfast for dinner, but that also became a part of this unique and memorable adventure. This summer was packed full of interesting experiences that, a year ago, I wouldn’t have thought to be available for undergraduate students. I am grateful for this amazing opportunity, as it has given me several fresh new perspectives and has also helped me develop a better understanding of what I’ll be doing in the future. 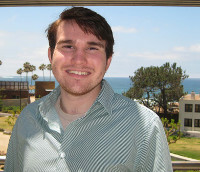 Over summer 2012, the CCE-LTER REU program gave me the opportunity to work in Dr. Todd Martz' lab here at Scripps. 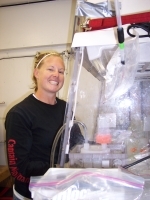 One goal of the Martz lab is to investigate the effects of ocean acidification. Accordingly, the lab specializes in developing autonomous chemical (especially pH) sensors for the ocean - the SeapHOx instrument package being one of their hallmarks. The SeapHOx returns especially valuable information about ocean pH because of its autonomous design, as it sits on the sea floor and takes measurements every half hour over the course of several months (many more measurements than you could take from a ship). My project for the summer involved updating the outdated computer and overhauling the software that runs the SeapHOx. I spent most of my time writing software in C to interface with the dissolved oxygen sensor, salinity sensor, 24 bit analog to digital converter, and pH sensor on board the SeapHOx. Putting all these instruments together in one place and running them off of one computer proved to be no small task! I learned a lot about electrical engineering/digital circuit design and honed my software skills putting all the code together. 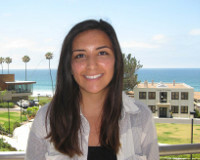 I think the experience of working at Scripps was just as valuable as the work itself. It was really meaningful for me to get a glimpse into the life of graduate students in a lab setting (especially one as picturesque as Scripps). It has definitely piqued my interest in pursuing a higher degree in just about any of the sciences. Overall, the REU experience has been overwhelmingly positive - I'm really grateful that I had the chance to work at Scripps for the summer. Hello everyone! 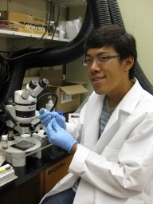 My name is Dustin Chen, and this past summer I did a CCE-LTER REU internship under the guidance of Rebecca Asch (Ph.D. student) in the lab of Dr. Dave Checkley. For my project, I chose to test the validity of a hypothesis called the “school trap.” This hypothesis states that, when a schooling fish species reaches population levels so low that it can no longer form schools by itself, it will start to school with another species of schooling fish. This can be detrimental to the first species because the other species may not occupy the same habitat or may compete against it for food. My study focused on the following three fish species: Pacific sardine (Sardinops sagax), chub mackerel (Scomber japonicus), and jack mackerel (Trachurus symmetricus). I used MATLAB to analyze a dataset containing egg and larval concentration data spanning from 1951 to 2010. I investigated how historical habitat overlap between sardine and either mackerel species correlated with three proxies for sardine population levels: egg and larval concentrations, percent station presence, and spawning stock biomass. Correlation analyses indicated that the school trap may be occurring between sardine and chub mackerel, as the relationship between increased habitat overlap and decreased spawning stock biomass was highly significant. I also began a diet comparison study of locally collected Pacific sardine and chub mackerel. This study is still in progress. Overall, being a CCE-LTER REU intern was an invaluable experience for my growth as a scientific researcher. I was able to learn how to use MATLAB in scientific research and basic statistics, and how to perform a fish gut content study. Even more than that, I was able to see firsthand what I am capable of accomplishing within a limited timeframe. This deepened my understanding of the incredible amount of time and effort put into carrying out a research project. 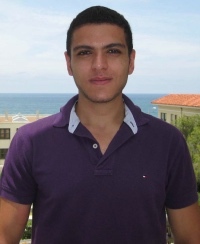 For my summer REU at SIO, I worked in the lab of Dr. Farooq Azam, under the guidance of Ty Samo, a PhD student. I studied marine bacteria and the role they play in the biogeochemistry of the ocean. My main focus of the summer was to measure the rate of bacterial carbon production, using a radioisotope incorporation technique. Like most studies involving bacteria, there was also lots of microscopy involved with my studies. I analyzed samples from the previous CCE process cruise (2011) before I left on the R/V Melville for a 30-day (2012) process cruise. While on the ship, I gathered and filtered samples for bacterial community growth analysis, and froze some for making slides back on land. In addition, I helped with other projects. The cruise was an awesome experience. I consider myself extremely lucky to have participated in such a project. I got to see and do so much of the things I have only heard about in class. Also, just being around so many graduate students and PI’s was an ideal learning experience, and something that I really cherished. My whole summer, in the lab and on the ship, was great. Of course I learned a great deal about microbiology, and expanded my love of the ocean, but I learned about how science gets done in the real world. For my CCE-LTER internship, I worked with both Dr. Mark Ohman (Lead PI) and Linsey Sala, Assistant Museum Scientist at SIO. My research experience began with a month long cruise on the R/V Melville studying fronts off the coast of Point Conception. I helped with the deployment and recovery of the bongo and MOCNESS tows. When the bongo net came back on deck, I quickly anesthetized the zooplankton sample with club soda, size fractioned the sample, and placed it in liquid nitrogen. These samples are for gut fluorescence and biomass analysis, which help determine the grazing rates of zooplankton. The MOCNESS consisted of ten nets, making it look like what I called the "Mocness Monster." Each net could be triggered to open at a specific depth. Washing down each of the nets and preserving all ten samples took a lot of time, but we caught a lot of interesting animals including hatchet fish, pyrosomes, jellyfish, dragonfish, and a solitary salp. For me, the highlight of the cruise was seeing a large pod of Pacific White-sided dolphins. After completing my first research cruise, I learned about life out at sea and had the opportunity to meet other professors and students interested in marine research. Back on land, I compared vertical distribution and life history stages of pyrosomes. I sorted through almost 100 jars from the MOCNESS tows and pulled out all of the pyrosomes. I then measured the pyrosomes, which ranged from 2mm to 288mm, and calculated the density of pyrosomes using the volume of water filtered by each net. The pyrosomes appeared to show a vertical migration toward the surface at night. In addition, the data from the day tows showed that larger pyrosomes occupy a greater range of depths including deeper ones. 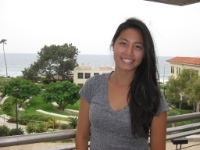 This REU internship gave me the opportunity to apply what I have learned in classes to oceanographic research. I never realized how much more goes into research than simply reading textbooks. From this experience, I learned how to collect samples on a research cruise and analyze the samples back on the land. This experience has encouraged me to pursue a higher degree in marine biology. For my REU internship, I worked with Dr. Ralf Goericke (Co-PI) to manage data from the CCE LTER cruises. My primary project was to create a database which included data from the ALF (Advanced Laser Fluorometry) device and underway data. I spent a lot of time writing and running functions in MATLAB to consolidate and organize numerous smaller text files into one complete file, then importing those text files into a Microsoft Access database. I then created queries in the database so the content could be searched with different criteria- location, time, and other measurements. When I wasn’t in front of a computer, I was calibrating fluorometers at yacht clubs, loading the research cruise ship and attending seminars put on by the SURF program. My time at SIO was a great chance to learn new material as well as become more familiar with applications I already knew. I am so grateful for the learning opportunity in this institute; seeing all of the different divisions of scientific research in action and their possible applications was really exciting and interesting. As I continue my education, I will undoubtedly use the knowledge and research experience I gained through this program. 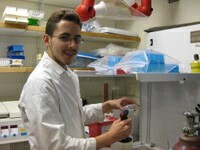 This summer I interned in Dr. Tony Koslow’s lab. I have been volunteering in Dr. Koslow’s lab for a few years now, but this CCE-LTER REU gave me the opportunity to expand on the skills and lab experience I have been developing as a volunteer. I was able to analyze the data I have been collecting and start a project of my own. 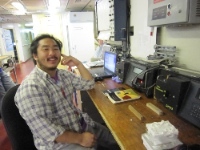 I was also given the opportunity to be the Oozeki technician on the summer 2011 CalCOFI Cruise. 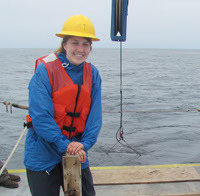 I gained invaluable experience at sea, working with other researchers, learning different sampling techniques, and getting a taste of life on a research vessel. The project that I worked on this summer, and plan on continuing to develop in my final year of undergraduate studies, involves analyzing data collected from the Oozeki net on the CalCOFI cruises to map euphausiid communities in the California Current. In the lab, I identify euphausiids to the species level and count the number of each species from the cruise samples. With this information it is possible to estimate the abundance of each type of species, and map their community structure based on where the sample was collected. Ultimately I would like to identify environmental and/or ecological factors that might be contributors to the abundance patterns that appear. Frontal, temporal, and spatial changes are all likely to have an impact on euphausiid assemblages in the California Current. I intend to get my PhD in marine science, and this internship introduced me to experiences and people that will help me achieve that goal. I am extremely grateful to Dr. Tony Koslow and Post-doc Dr. Ana Lara Lopez for mentoring me this summer and over the past few years. This summer’s REU taught me a lot about marine research and reaffirmed that it is a career path I intend to pursue. My CCE-LTER research project involved comparing and assessing the trophic positions of zooplankton (0.2-2 mm) in three different biogeochemical environments: California Current Ecosystem (CCE), Costa Rica Dome (CRD) and Hawaii (ALOHA). This research is important because fisheries make models to better manage stocks, which rely on the trophic positions of fish in the food web. These fish feed on zooplankton and phytoplankton, which make up the base of the food web. We were investigating if there was a 3.4‰ (permille) increase of δ15N between the 0.2-2 mm size fractions as models suggest. We also wanted to know if there was a difference in δ15N in the source nitrogen between the different regions and if the absolute trophic positions are different between regions. 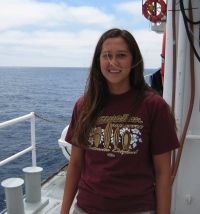 This internship also involved participating in a month-long research cruise off the coast of Point Conception in California on the R/V Melville to collect the CCE samples. 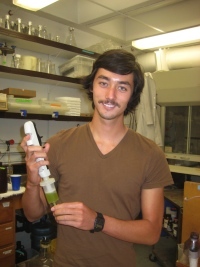 I analyzed all the samples in Dr. Brian Popp’s lab at the University of Hawaii at Manoa using both Bulk Nitrogen Analysis and Compound Specific Isotope Analysis (CSIA) methods. While I was in Hawaii, I also participated in a six-day research cruise at station ALOHA. I learned a lot about oceanography on these cruises and have truly had an exciting and adventurous summer! 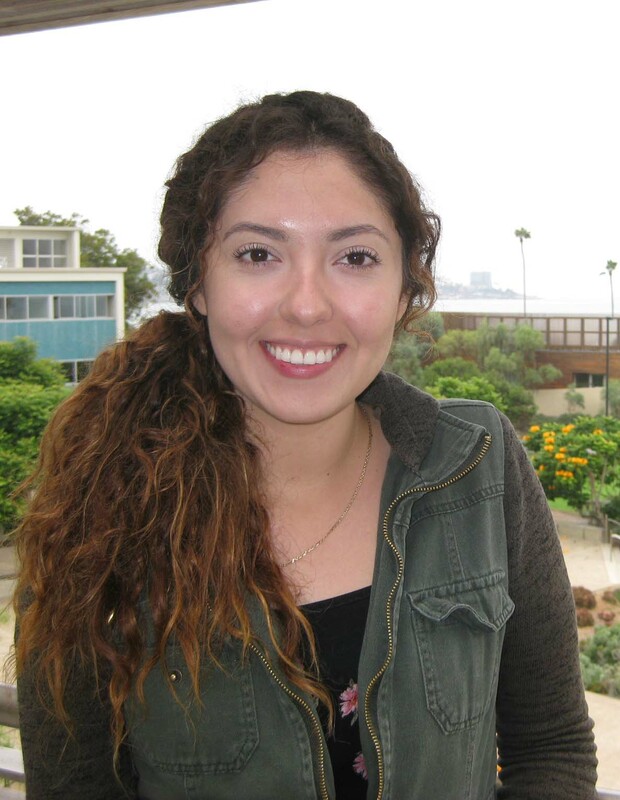 This opportunity couldn’t have come at a better time, since I recently switched my major from biology to chemistry, and this internship allowed me to conduct research at the interface of chemistry and biology in a marine setting. I have learned so much this summer, gained valuable field experience, lab techniques and data analysis methods. I thank my mentors - Dr. Mike Landry, Graduate student Moira Decima, and Dr. Brian Popp - for making this a very productive and exciting summer. This research opportunity has encouraged me to further explore the world of marine science! For the 2011 summer CCE-LTER REU program, I was given the opportunity to work in Dr. Todd Martz’ lab, which constructs an autonomous instrument package called the "SeapHOx." My background in physics and computer science helped me to create additional software functionalities for the program running on the SeapHOx’s embedded microcontroller. I was able to program, calculate, and display the pH by using certain measured or user input pH calibration sensor coefficients, such as temperature and salinity. I also created a Lab View program for interfacing the microcontroller with a PC. Before the start of the summer my knowledge of chemistry was limited to the basic 101 course and my skills in programming were never put in practical use beyond class room exercises. I spent a great deal of the summer troubleshooting computer programs and trying to get the sensors to do exactly what I wanted. Even though this task was very difficult at times, it helped me hone in and expand my computer programming skills. Spending the summer in the Martz lab also allowed me to see how interdisciplinary the sciences could be, and to see what kind of research other scientists outside my field of physics conducted. 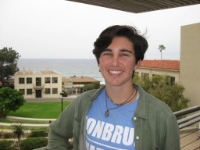 For my summer REU internship, I worked with the Barbeau lab (led by Dr. Kathy Barbeau, Co-PI) studying the role of Iron in the marine ecosystem. This included the opportunity to participate in a one-month oceanographic research cruise on the R/V Melville. I got to meet many different people interested in many different fields of science. It was great to see all of the different research projects coming together to study this water system. The all-night sampling sessions and early morning casts were definitely something I had to get used to, but ended up nostalgic about when the cruise came to an end. During the cruise I assisted in casting the trace metal clean rosette, cleanly filtering the samples collected, and running experiments examining how Iron affects the prevalence of primary producers. The rest of my time at SIO was spent examining the samples collected on the cruise. Specifically, I ran Iron (II) lifetime experiments, comparing the oxidation rate of Iron (II) in each water sample collected in the CCE study area. The water that I used was taken from off the coast of Point Conception. There were two surface samples, each taken from either side of the front that we were studying, and one taken from 250m at the further off-shore station. Decay experiments were run by analyzing the concentration of Iron (II) over time using an FeLume. The FeLume measures the amount of light produced by the reaction of Luminol with any Iron (II) in the seawater sample. The graph of the natural log of the chemiluminescence signal during the decay was then used to obtain the oxidation constant and find the half life. This summer provided me with a unique perspective into the lives of oceanographic researchers with experience in field work as well as lab work. I am truly grateful for all of those who assisted in this learning experience – whether it was through mentoring or by merely taking the time to discuss their own research experiences. For my internship in the CCE-LTER REU program, I spent the summer in Brian Palenik's lab, researching the seasonal and geographical diversity of Synechococcus sp. CC9311. Synechococcus is an abundant marine cyanobacterium that plays a significant role in global carbon fixation, and has also been shown to be more sensitive to high levels of copper than other marine phytoplankton. During the course of this summer, I examined the environmental prevalence of an operon that is upregulated in Synechococcus sp. CC9311 in response to copper shock. It is also suspected that this operon may have been horizontally transferred from estuarine organisms. Using quantitative PCR (qPCR), I analyzed environmental DNA samples and quantified the amount of DNA corresponding to this operon, in addition to quantifying the amount of DNA corresponding to all Synechococcus sp. CC9311 organisms. With this technique, I was able to determine the relative abundance of this operon, both seasonally and geographically. I did this through the analysis of environmental DNA samples collected throughout the course of a year at the SIO pier, and environmental DNA samples collected at estuarine areas and other coastal sites. Overall, this summer has been an amazing experience, and I have learned a lot - in terms of lab techniques and research skills, and also of my own future goals and aspirations. It has been a pleasure to work with everyone in the Palenik/Brahamsha labs, and I am especially grateful for the mentorship and thoughtful guidance of Post-doc Rhona Stuart and Dr. Brian Palenik. The CCE-LTER REU summer program allowed me to work with Prof. Kathy Barbeau and her graduate students studying trace metal biogeochemistry. 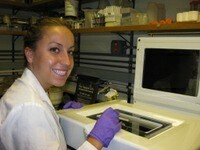 To better understand aspects of iron cycling in marine systems, I performed experiments on the SIO pier, PCR with degenerative primers, bioinformatics analyses of discrete organisms and metagenomic datasets, and determined antibiotic resistance for a model organism in preparation for gene knockout experiments. In the wet lab, I learned to use instruments like the voltammeter and the flow injection analyzer to study iron chemistry in pier samples. To measure chlorophyll during our pier incubation experiments, I used a fluorometer. I learned how make liquid media and plates and grow bacteria on them. Studying the best antibiotics to use in knockout studies, I learned how to make these media with different concentrations of antibiotics and measure the growth of the bacteria using a spectrophotometer. I combined wet lab experiments with bioinformatics when developing degenerate primers and identifying proteins of interest to study acquisition of heme as an iron source by marine bacteria. Degenerate primers are used to amplify a broad range of DNA sequences. To identify conserved sequences to develop these primers I used alignment tools. I then learned how to perform different types of PCR, such as gradient and touchdown, and run gels. To develop Hidden Markov Models, I learned to use statistical modeling tools to help perform more accurate searches against sequence databases and metagenomic datasets. This educational opportunity has given me hands-on practice with important techniques that I will be using in my future research. I am grateful for the guidance that I have received during this program and the insights that I have gained as a result. However, what made this experience truly special were the friendships that I developed while working on the beautiful SIO campus over the summer. 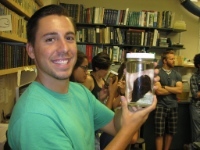 This summer I researched zooplankton in Dr. Dave Checkley's lab. I had the opportunity to participate in an 18-day research cruise to Monterey Bay aboard the R/V New Horizon. On the cruise, I worked the noon to midnight shift and was able to see an assortment of marine life, including Humboldt squid and humpback whales that came within a few feet of the ship. I assisted in the deployment and recovery of instruments, such as the CTD, MOCNESS and Bongo-LOPC and helped preserve the samples collected. With the help of my mentor, I also designed and ran an experiment to measure the excretion rate of euphausiids. Back in the lab at Sverdrup Hall, we processed data from the cruise. The programming software Matlab was used to analyze the depths that the MOCNESS nets opened by correcting for sigma-t values read by the CTD and the MOCNESS. I joined the Scripps collector in gathering copepod samples and then measured their excretion rate. To calculate this value, a fluorometric method is used in which the main ingredient in the working reagent reacts with the nitrogen in ammonium and fluoresces. The raw unit readings from the fluorometer allow for the calculation of very low ammonium concentrations. This internship was an unparalleled opportunity. I was fortunate to meet new associates and friends, to learn how to design and refine my own experiments, and to participate in oceanographic research firsthand. 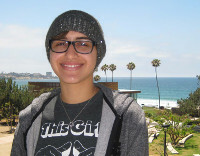 This experience reaffirmed that studying at Scripps Institution of Oceanography is the path I intend to follow. For my REU internship, I worked in Dr. Lihini Aluwihare's lab at SIO. 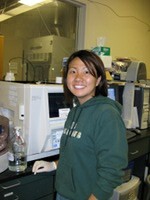 This past summer, I helped determine the level of carbohydrates in seawater samples taken from the CCE LTER 2008 cruise. The concentration of carbohydrates was determined using a sensitive colorimetric assay. Referred to as the TPTZ method, it utilizes specific reagents to react oxidized sugars to promote the formation of a colored complex. The absorbance of each sample can be taken using a spectrophotometer, giving some indication of the carbohydrate level of each station in the ocean. Because the samples were taken at various depths of the water column, a trend of carbohydrate concentration was seen, depending on sample station. This experience has taught me a lot about the ocean but most of all, about myself. It taught me that colorimetric assays are, in fact, a trying and tedious method to obtain results. Every assay was run with as much precision as possible but due to the many outside factors that can affect the results, it was somewhat difficult to obtain a baseline for even the reference deep sea water sample. I learned that regardless of tribulations, it is important to keep going and push forward. After all, it is research! I greatly enjoyed my time and summer with the members of the Aluwihare lab, due to all of them and their welcoming and helpful nature. This experience will stand as one of the most influential and rewarding events of my academic career. 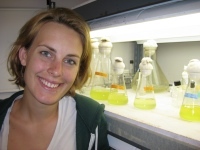 As an REU student, under the guidance of Graduate student Katharine M. Hanson, I analyzed the number, diversity, type, and size of zooplankton consumed by the yellowtail damselfish, Dascyllus flavicaudus, sampled from various reef habitats surrounding the island of Moorea (another LTER site - MCR). Through microscopic investigation of 20 stomachs, each containing approximately 2000 individuals, oceanic and reef-associated zooplankton were compared. It was observed that the yellowtail damselfish consumes a wide range of prey items, including several copepod species, fish eggs, appendicularians, and meroplankton. Prey item body-size measurements were used to determine the quantity of carbon consumed by the yellowtail damselfish and to distinguish between oceanic and reef-associated zooplankton. The ZooScan with ZooProcess (M. Ohman's lab) was used to determine prey item size. Each prey item was scanned to obtain automated ZooProcess body-size measurements. ImageJ software was used to manually measure body size. A relationship between automated measurements and manual measurements was constructed for each prey category and thus ZooProcess calibration will allow for future prey item body-size measurements. My REU experience this summer has been very rewarding. I have learned many lab skills and have met many interesting people. The research should provide insight into complex food web dynamics across reef ecosystems on the island of Moorea. This year, as a senior thesis project, I expect to complement this research by conducting a feeding electivity study for the yellowtail damselfish. 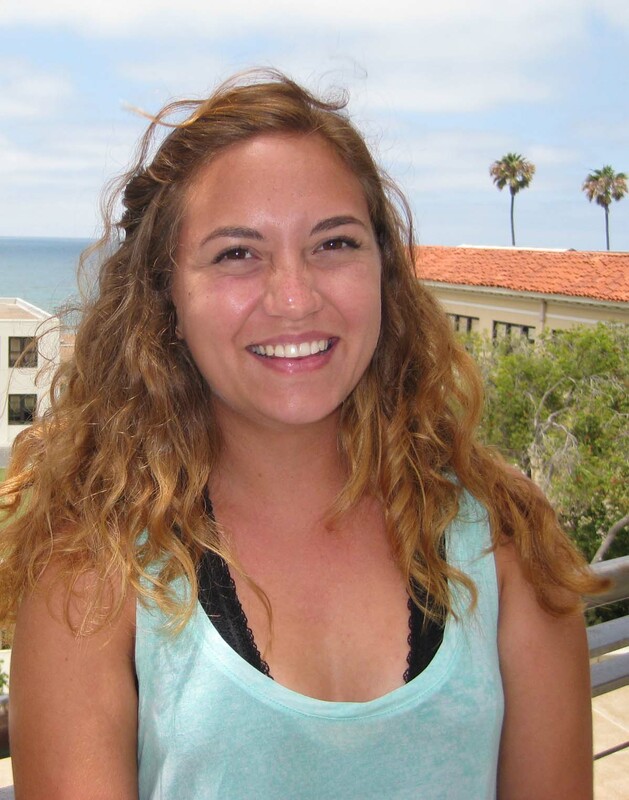 In the CCE-LTER REU summer program, I worked in Dr. Kathy Barbeau's lab to investigate the role of iron and silica as limiting nutrients for phytoplankton growth in the California Current Ecosystem. My research experience included analyzing samples from past cruises in the CCE LTER study site as well as conducting my own "fieldwork" via nutrient-amended incubation studies on the Scripps pier. The incubation studies performed on the pier allowed me to learn trace metal clean sampling techniques to prevent contamination and to participate in cruise-like sampling. During incubation experiments I took daily microscopy, nutrient and chlorophyll samples. Samples were also taken for pigment analysis and iron speciation analysis. I used a fluorometer to measure chlorophyll. The main laboratory analysis I conducted during my internship involved using high performance liquid chromatography (HPLC) to identify and quantify phytoplankton pigments. These pigments are indicative of certain phytoplankton species and were used to characterize phytoplankton community structure in seawater samples. These seawater samples were taken from various incubation experiments conducted on cruises in the CCE LTER study region by members of the Barbeau lab, as well as samples collected during my summer 2009 pier incubations. In support of the HPLC data, preserved seawater samples were examined on an inverted microscope to confirm community composition. I am continuing this research during the school year on a part-time basis. 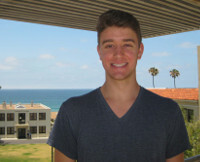 I have learned a number of new laboratory techniques and feel that this experience has allowed me to make an informed decision about my ambitions to pursue oceanographic research in graduate school. For my REU internship, I worked in Brian Palenik's lab. The primary focus of this lab is on the marine cyanobacteria, Synechococcus. Synechococcus is a diverse genus of phytoplankton that is an important primary producer in the oceans and contributor to the planet's carbon cycle. My project was to compare the diversity of coastal versus offshore populations of the cyanobacteria from a CalCOFI cruise using the high-resolution melting technique. In high-resolution melting, DNA is extracted from filters and amplified using PCR. A fluorescent dye is used during the PCR, which would only fluoresce when the DNA is in a double helix. DNA separates or melts into two strands when it is heated and the melting temperature depends on the GC base pair content and sequence. The fluorescence is recorded as the DNA is slowly heated and the data points produce a curve from which a unique melting temperature for each present strain can be determined. The opportunity to participate in this program has been a very valuable experience for me, as someone who intends to go on to professional school for biological research. Being able to work in an actual lab on a daily basis allows for newly acquired lab techniques to be practiced and perfected in a way that is not reproducible in the classroom. I worked with materials from twenty-six long-term ecological research sites for my summer internship. This effort yielded a corpus of materials about information management that will support research on the development of site-based infrastructure. My work involved documenting information systems development, data handling, as well as changes associated with technology and with the roles of information management. A survey of the sites led to highlighting commonalities and differences among the sites and at individual sites over time. I worked in the Ocean Informatics Design Studio alongside informatics specialists, information architects and programmer analysts. As a student of the history of science it was enriching to experience a site contributing to the development of information infrastructure and information management. No amount of time with texts would have afforded the same chances to witness science as a living enterprise. In addition to the opportunity to observe informatics and research professionals in their milieu, I’ve learned technical skills and become familiar with hardware and software that had heretofore rarely been a part of my formal education. SIO may only be a couple shuttle stops from main campus, but this program prompted me to consider the history of science from a more privileged and broader perspective. For my REU internship, I worked in the Aluwihare lab and helped the quantification of the total organic carbon (TOC) content in the samples that were taken from the CCE LTER 2008 cruise. The amount of TOC is determined by running the samples through a TOC machine. In the TOC machine, a high-temperature catalytic oxidation (HTCO) method of measurement was conducted. Through this method, the existing inorganic carbon is removed. Then, the carbon that’s left in the sample is combusted to CO2, which is quantified in a nondispersive infrared sensor. In this experience, I was able to learn a lot of trouble shooting skills. It was difficult to get precise and accurate data at the beginning of my internship and understanding the machine was a key to making modifications to increase the quality of the data that was obtained through the machine. After many weeks of alterations to the machine, the processed samples helped me conclude that there are high levels of TOC towards the surface of the ocean and lower levels as the depth increases. 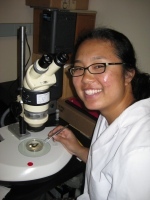 As an REU intern in the Ohman lab at SIO, I studied the grazing rates of meso-zooplankton. Mesozooplankton are zooplankton within the size range of around .2 mm to 5mm that consume other plankton. The amount of chlorophyll a pigments from phytoplankton remaining in the guts of mesozooplankton is used to determine the grazing rate. This can be analyzed by looking at the level of fluorescence of the extracted gut pigments. The samples were taken in the California Current Ecosystem during an October 2008 cruise. Samples were taken at various locations and times. By analyzing the gut pigment contents we can look further at the differences in grazing rates in relation to proximity to shore, different size fractions, diel periodicity, and other factors. From this summer internship I have learned a lot about an area of science that I wish to continue studying in the future. I was able to gain experience with lab techniques, data entry and analysis. I worked with Dr. Mark Ohman and with his guidance learned a great deal about many aspects of science. I also learned about plankton, their grazing capability, and roles these microscopic organisms have in the marine ecosystem. Although I am unsure as to what specific area of marine science I want to pursue, this internship has given me an opportunity to discover and experience in detail one specific area of marine science. This internship has been an irreplaceable experience that I will definitely carry on into my future. The REU experience this summer afforded me an opportunity to engage with informatics, work that lies in the overlap of information science, social science and oceanography. Hands-on experience in a contemporary information environment is key to developing as an environmental sciences scholar today and to participating in "big science". As part of the LTER network, the Baker lab's approach involves collaboration with local, community and network entities to further the development of knowledge. The philosophy of continuing design and active engagement with that process are key to how the Ocean Informatics team addresses the long-term issues involved in knowledge-making. Continuing design is a way of carrying out information management in support of scientific research when both are in active development. My particular REU projects involved implementing a geographic dictionary or gazetteer and initiating development of a history module that incorporates a timeline of events designed to enable the capture of project narratives. The day-to-day software development as well as the longer-term project planning and collaboration efforts grounded the abstract practices only touched upon in the classroom. The interdisciplinary nature of the lab gave me a chance to meet and engage with scientists in other fields. Working with the staff in the lab provided valuable perspectives that would otherwise be unknown and unavailable to me. The lab's engagement in the academic areas into which I rarely ventured such as oceanography and social science help to create in me a broader and uncensored understanding of how the work with scientific data really gets done. Hey! My name's Timbo and for my research this past summer I worked on correlating in situ acoustical backscatter data of zooplankton samples collected with an Acoustic Doppler Profiler (ADP) to zooplankton biomass estimates. Most of my time in the lab was spent digitizing zooplankton samples with Zooscan. Zooscan involves a waterproof scanner that captures high resolution images of hundreds of zooplankton at once. Zooscan then separates each zooplankton scanned into individual images and computes various measurements for each individual. I classified each individual zooplankton sample by species (over 150,000!) and from the measurements and species identification computed the total biomass of the sample. I then compared this biomass data to the ADP backscatter data to determine any correlation between the two. 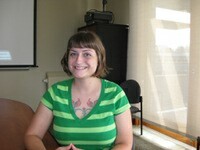 This was all preliminary research for SIO graduate student Jessie Powell's thesis. I also went out into the field for 21 days onboard R/V New Horizon on the SEAPLEX cruise to the North Pacific Gyre. On the cruise I helped with the scientific deployments and worked the night shift from 8pm to 8am. It was my second time out to sea on a research vessel and I had a blast! On this cruise I also helped Jesse Powell deploy Bongo Nets with an ADP installed, which we used to collect more samples to be analyzed in a similar fashion to the samples I analyzed earlier in the summer. Overall, I had a wonderful time working in the Ohman lab this summer and hope to be a graduate student at SIO in the very near future. During the course of my REU internship, I performed research on phycobiliproteins, which are water-soluble photosynthetic pigments present in cyanobacteria, cryptophytes, and planktonic rhodophytes. Within these organisms, the phycobiliproteins are used as accessory pigments to absorb light at wavelengths which are not utilized by chlorophyll. When exposed to light, phycobiliproteins have distinct excitation and emission maxima. The specific wavelength of this maximum is altered depending on which type of organism the phycobiliprotein is contained within. Using this knowledge, one can determine the phycobiliprotein-containing community structure of a given water sample using fluorescence. 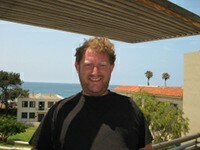 Over the summer of 2009, I collected water samples from the Scripps pier and stored them in liquid nitrogen. By implementing and modifying a phycobiliprotein extraction technique established by Stewart and Farmer, I was able to extract the phycobiliproteins from these samples and use fluorescence to determine their presence. By observing the relative fluorescence of the samples over the course of the summer, I was able to observe changes in the coastal community structure. The main phycobiliprotein-containing organisms were cyanobacteria, which are an extremely important part of the marine phytoplankton community as they are important primary producers, especially in open waters. The method practiced was then used to validate the Advanced Laser Fluorometer, a new instrument designed for efficient shipboard analysis of the presence of phycobiliproteins and chlorophyll. Overall, this was a tremendous learning experience. With the guidance of Dr. Greg Mitchell, my eyes were opened to the complexity of phytoplankton communities, and I learned a great deal about the nature of pigments. I also learned many lab techniques and data analysis methods which will be of great help to me during further education. 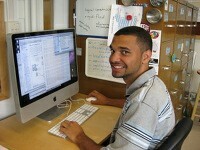 The Ocean Informatics Lab combines Oceanography, Information Sciences, and Social Sciences. Dealing with data collected by scientists and creating an accessible way for data to be accessed and shared among the community, the local information system called Datazoo creates an opportunity for learning in a research environment. 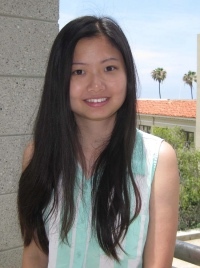 During my REU internship I learned a number of programming languages such as MySQL, XSLT, XQuery, XPath, and PHP. Much of the knowledge I gained about these languages came from studying example code and researching online, which is a different approach than that normally used in a classroom. I also learned techniques and best practices through implementing designs, working collaboratively as part of a design team, and participating in discussions of published papers at weekly Informatics reading group meetings. I was able to take part in designing and implementing programs that deal with information and data associated with the LTER Network. Besides the backend software, my REU experience has also enriched my interaction skills because of the consistent feedback and teamwork provided by a diverse group of peers. For my REU internship, I performed research on zooplankton using the Zooscan, a waterproof scanner that makes digital images of plankton samples. More specifically, I studied the relationship between size measurements provided by these scans and the carbon and nitrogen content of the organisms. The purpose of the study was to provide a useful link between the new imaging and sorting technology of the Zooscan and more classic measures of biomass and organism makeup. Samples were collected during near shore tows just off the coast of La Jolla and brought back to the lab weekly. Lab analysis involved scanning and identifying organisms, followed by analysis of carbon and nitrogen values. The organisms in the scans were then hand measured using a computer and compared to both program measurements and their elemental composition. I then learned how to organize, graph, and analyze the data. This experience has taught me a lot. I learned what it is like to work in a lab and about specific techniques related to what I was doing, data analysis methods, and a whole lot about what zooplankton look like and how they behave. Working with my mentors Alison Cawood (graduate student) and Dr. Mark Ohman (CCE lead PI) has given me a much greater understanding of this subject and provided me with a great opportunity for future education. 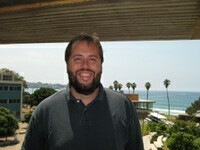 I have been researching how changing environmental factors alter food webs in the California current. I hope to determine whether organisms change their feeding habits, or if the makeup of their food is changing over time. I approached this by analyzing the nitrogen isotopes in tissues of three species of small animals that are common in the California current. Specifically, I selected samples of copepods, euphausiids, and sardine larvae that were collected between 1997 and 2000 off Point Conception as part of the ongoing California Cooperative Oceanic Fisheries Investigation (CalCOFI) cruises. The time series include the 1997-1998 El Nino, a period when conditions were warmer and there was generally less coastal upwelling to deliver nutrients to the sea surface, as well as the ensuing La Nina, during which ocean temperatures in the region tended to be cooler and increased upwelling delivered more nutrients to the surface. My guides in this CCE REU project have been Dr. Mike Landry and PhD candidate Moira Decima at SIO. The analysis procedure I used, called amino-acid specific stable nitrogen isotope analysis, reveals the ratio of two Nitrogen isotopes (14N and 15N), which depend on an organism's eating habits and is therefore used as an indication of trophic level. This was conducted in the laboratory of Brian Popp, and also made possible by his and Elizabeth Gier's expertise) at the University of Hawaii. Dissolved organic nitrogen (DON) is the most abundant form of N (inorganic and organic N) accumulating in many areas of the surface ocean. In the CCE, DON dominates the total nitrogen reservoir during some summer and fall months. While much is known about the cycling of inorganic N, little is still known about the cycling of organic N in marine environments. For example, are its sources identifiable? Is it available to fuel biological production? Is it derived from recent biological production or has it already been extensively degraded? Does it represent an important N sink for the inorganic N entering the CCE system? In order to address some of these questions, I examined the quality of nitrogenous marine organic matter in water samples collected by Dr. Lihini Aluwihare's lab. Previous studies have shown that enantiomeric (D/L) ratios and non-protein amino acids serve as indicators for the "freshness" of organic matter. Our aims are to utilize these indicators to gain insight into the quality of nitrogenous organic matter in our own samples. During my REU internship, I have been identifying the retention times of amino acids, producing standard curves for comparison with our samples, and determining the amino acid content of various water samples. My experience as an REU has given me greater insight into not only geochemical research, but also into working in an academic environment. I hope to utilize the knowledge and experience that I have gained through my internship in future graduate school and professional opportunities. The Palenik and Brahamsha Labs at SIO study many aspects of Synechococcus, a marine bacterium which play an important role in photosynthesis throughout the world's oceans. During this past summer, I focused on identifying their grazers as part of my undergraduate research experience. One of my lab duties was to collect SIO Pier water samples each week. Some water was preserved with gluteraldehyde for later use, and some was filtered and also stored. Following the most recent annual spring bloom of synechococcus, I was able to create (from a filter sample) a library of ciliates, which are one group of known grazers of these bacteria. This method consisted of extracting all DNA from the filter and running a PCR with ciliate-specific primers to amplify sequences only from ciliate DNA. Cloning was done with E. coli to separate the different ciliate DNA which was then sent out to be sequenced. Six groups of ciliates were identified to be present following the bloom. This molecular method of identification, without cloning, was also done on cultured nanoflagellate isolates, another group of known synechococcus grazers. I was also able to work on a method for single cell PCR which will allow individual cells to be picked out of a sample using microscopy and can compare morphological and molecular approaches to identification. I was also able to participate in a CalCOFI-LTER research cruise during my internship. 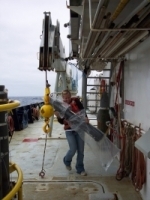 I helped to deploy nets and the CTD rosette. We took a lot of water samples and I learned how the various measurements are taken. Preserving samples and filtering water on a rocking ship was great experience. I was also able to collect some samples to compare the ciliate diversity onshore vs. offshore and surface vs. chlorophyll max. I intend to continue this project toward UCSD's BS/MS program. 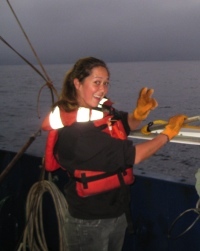 This REU program allowed me to experience different lab settings and sampling out at sea which helped prepare me for a future in marine biology. For my REU internship, I performed research on phycobiliproteins, which are photosynthetic pigments that exist mainly in cyanobacteria and red algae. My specific role was in creating a method to test for the presence of phycobiliproteins in ocean samples, which was done mainly by improving upon a protocol that was used in the 1980s. This new technique was then used as a biochemical method to validate a new instrument which implements advanced laser fluorescence as an easier and faster way to test for the presence of phycobiliproteins. Because phycobiliproteins are found mostly in cyanobacteria, their presence in ocean samples denotes the presence of cyanobacteria which are an important part of marine ecology. The methods used to test for their presence are based on the unique fluorescence spectrum for each individual phyocobiliprotein. The goal of this method is to determine what phycobiliproteins are present in the ocean sample and therefore determine the present cyanobacteria communities. As a mechanical engineering major, I did not even know what phyocobiliproteins were at the start of this REU experience; and yet with the guidance of Dr. Greg Mitchell and the excellent group of lab technicians, undergraduate 199 students, and graduate students, this has been a tremendous learning opportunity. I have learned not only a lot of biology, but how to process data, various lab techniques, and a great research experience that will continue to benefit me later in graduate school. For my REU internship, I performed research on mesozooplankton, which are a group of organisms that consume other plankton and are in the size range of approximately 0.2mm to 5mm. More specifically, I studied mesozooplankton grazing using gut pigment fluorescence as a proxy. The purpose of the study was to enhance our knowledge of nutrient cycling in the ocean by assessing the impact of zooplankton grazing on phytoplankton in various parts of the California Current as well as throughout the day-night cycle. Samples were collected in the California Current System in May- June of 2006 and April of 2007 and frozen in liquid nitrogen in order to be accessed at a later time. Back on land at SIO, lab analysis involved microscopy for identifying organisms and picking out phytoplankton. Zooplankton were put into acetone to extract Chlorophyll pigments, which indicate how much phytoplankton was consumed, from their gut contents, and the pigment fluorescence was measured. I then learned how to organize data and analyze the results. Overall, this experience taught me a great deal. I learned new lab techniques, data analysis strategies and everything there is to know about zooplankton grazing such as effects of temperature and food concentrations on ingestion. Weekly meetings with my mentor, Dr. Mark Ohman, provided me with a breadth of new knowledge and the opportunity to work with a distinguished faculty member. This internship provided me with a great research experience that I will be able to carry into graduate school and future job opportunities. 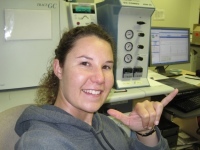 As an REU, I participated on a cruise in summer 2007 to investigate the ecological role of iron in the southern California Current system (Dr. Kathy Barbeau's lab). Due to the importance of iron as an essential nutrient for phytoplankton and its extremely low abundance in seawater, the supply of iron to the California Current is vital to the ecosystem. Previous studies have focused on iron limitation in High Nutrient Low Chlorophyll (HNLC) regions of the oceans, but iron limitation is also hypothesized to play a significant role in mesotrophic (relatively low nutrient) upwelling systems like the CCE LTER study area. The cruise that I participated in was specifically investigating the influence of iron and light as co-limiting factors for phytoplankton growth in the deep chlorophyll maximum layer (DCM). The DCM is a ubiquitous feature in the offshore waters of our study area, and in the oceans worldwide. I was able to participate in this cruise off the coast of San Diego and assist in water sampling using the CTD rosette, GO-Flos, and pole sampler. I also assisted with incubation experiments, sampling for hydrographic data, and processing samples for trace metal analysis. 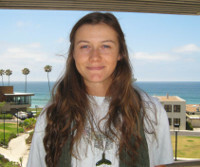 All of these experiences have helped me to gain a much better understanding of how oceanographic field research is conducted, and why long-term ecological research on the California Current is important for studies of climate change. I hope to continue oceanographic research in graduate school.